This is Winnie Corpuz, the brother of my wife, Arlene. 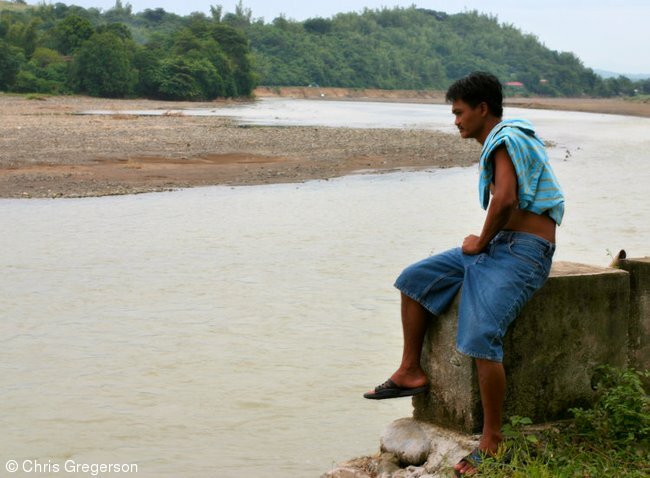 He is at the Badoc River, which runs just a few meters from his home in barangay Las Ud. His kids and their cousins and neighbors are swimming in the river.